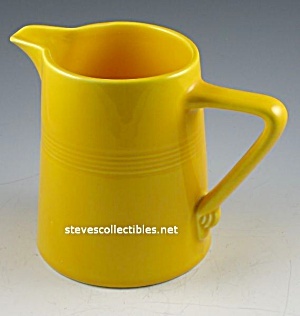 This nice pitcher is in the bright color of Sunshine Yellow, measures 4 3/4" tall and we believe that this is the 22 oz. size. Fine Condition without problems of any kind. Gorgeous. Harlequin was produced by Homer Laughlin China until 1964.